A warm welcome to Waterside Villa! Your holiday time is precious and a trip to the vacation capital of the world will often be a once in a lifetime experience. Choosing the right accommodation can make or break your holiday - let us show you what Waterside offers and you'll see for yourself why it's the perfect destination for you and your family! 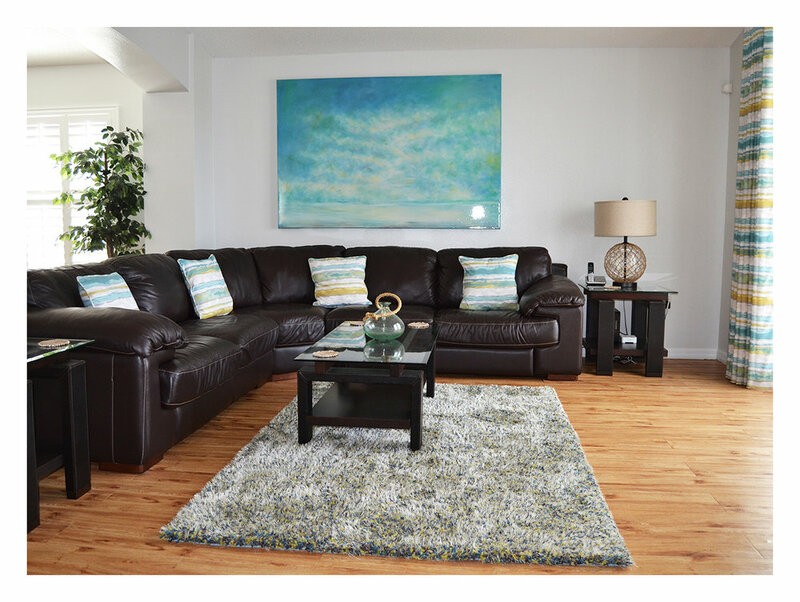 We are very proud of our open-plan living area, featuring a 14' L-shaped Italian leather sofa, a Samsung 58” 4k UHD TV hooked up to Cable TV and a Blu-Ray player as well as a dedicated Sonos music system. The dining area features a beautiful table that can seat up to 6 and all windows are fitted with stunning Plantation Shutters. Waterside offers 3 bedrooms featuring a US Kingsize, a Queen size and a twin room so up to 6 guests can get their beauty sleep on the Sealy pillowtop mattresses. The Master Bedroom has a full en-suite while the Disney room is perfect for your youngest - or any Disney fan for that matter! Offering a comfy sofa that doubles as a fold-out bed, a Samsung 55" HDTV hooked up to a PS4 that's loaded with games to play as well as a Netflix account, the Den is a perfect place to keep your children or even a teenager quiet for a few hours! 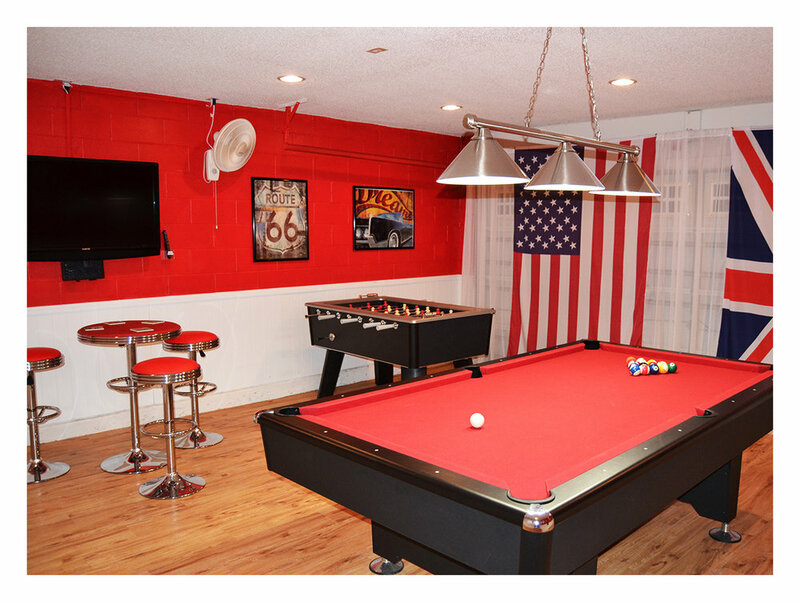 A cool place for you to relax in peace, our Games Room comes with a 8' slate bed Pool Table, a Foosball Table, a 46” HDTV and even it's own Sonos system, letting you have fun to whatever music you'd like without disrupting the rest of the villa! Do we need to say much more than the word 'Pool?' Our 30' salt water pool is the perfect place to cool off after a busy day. Stocked with pool toys for the kids and recliners for the grown-ups, there's also a 6 seater table for when you want to enjoy a meal outside. Waterside provides 5✰ levels of comfort having been recently refurbished and upgraded, but still offers remarkable value for a family holiday. Offering a large pool with incredible views over the lake, thoroughly furnished and thoughtfully designed interiors, a location in the heart of Florida, top of the line technology and a wealth of entertainment options, the villa is truly a home away from home for you and your family. 15 minutes to the Disney Main Gates (for Magic Kingdom, EPCOT, Hollywood Studios, Animal Kingdom, Blizzard Beach, Typhoon Lagoon Park plus the Downtown Disney nighttime entertainment area). 20 minutes to Sea World and the Aquatica Water Park. 25 minutes to Universal Studios and Islands of Adventure Park. 25 minutes to the Wet’n’Wild Water Park. 75 minutes West (approximately) to the St Petersburg/Clearwater beaches of the Gulf Coast. 75 minutes East (approximately) to the Kennedy Space Centre. 75 minutes East (approximately) to Cocoa Beach and the beaches of the Atlantic Coast. 5 minutes to the Bars and Restaurants of the Highway 192 Resort Area (including TGI Fridays, Chili’s, Red Lobster, Chicago Uno and Charleys Steak House – to name just a few). For the essentials, there is a Walmart superstore within 10 minutes drive and the huge Florida Mall is about 25 minutes away. 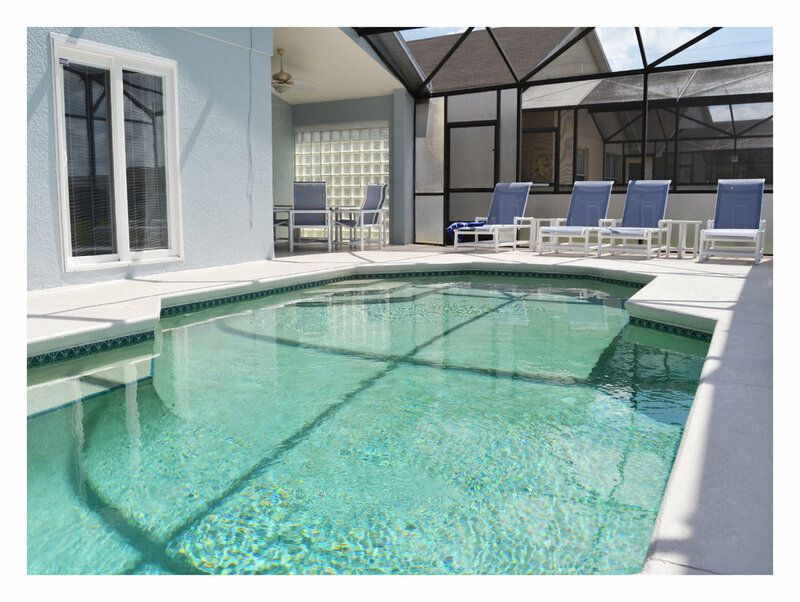 Waterside enjoys an enviable location, totally relaxed with peace and quiet yet so close to all the attractions Orlando has to offer. Prices are for the whole villa per week (NOT per person). 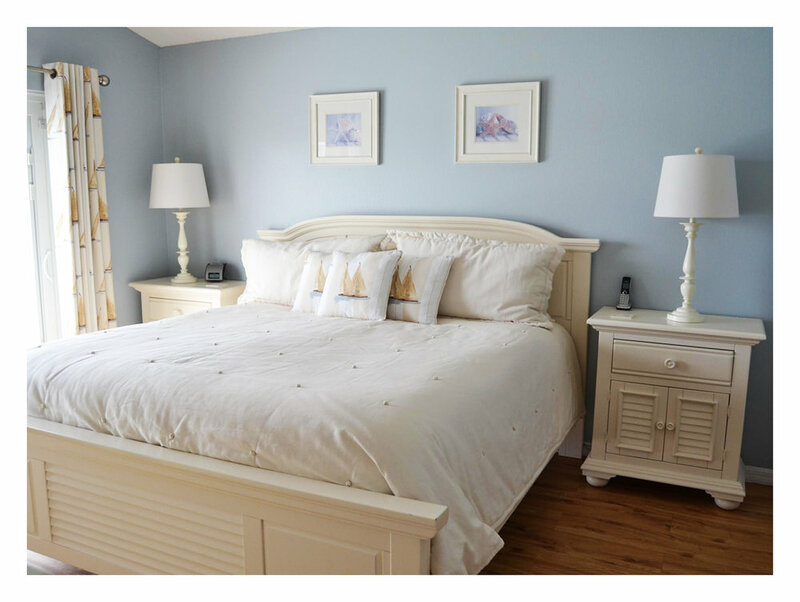 The minimum rental period is 5 nights (2 weeks at Easter and Christmas). For rental periods of less than 7 nights, a £60 cleaning fee will be added. All prices quoted are in British Pounds. Prices in other currencies will be calculated at the prevailing exchange rate at the time of booking. Bookings across 2 seasons (eg. Low to Mid) will be charged at the rate applicable to each season.  Prices include all Taxes and Utilities. Pool heating is available at £90 per week and is recommended between October and April. Waterside is proving incredibly popular with our Guests, almost all of whom now book over a year in advance. To avoid disappointment we strongly recommend that you book as far in advance as possible. We holiday in villas every year in Florida and occasionally the Canary Islands and my partner and I agreed it was by far the best villa we've stayed at. We have felt so at home here in the villa – so much room, comfortable beds, the Games Room, the Pool Area. This was a wonderful location to get to Disney at any time. Absolutely fabulous villa, attention to detail we thoroughly enjoyed our stay here. The location with the lake behind is simply wonderful…you have the cleanest, nicest, and best located villa we have ever stayed in and it was beautiful and peaceful just to spend time doing nothing! Thank you! We'll get back to you as promptly as possible. If you're a social media user and have a moment to spare then please show Waterside support through our newly launched Facebook page. Click the link below and give us a like, check out the latest news from the the villa and send us a comment or even a testimonial!